New Delhi, May 8 (PTI) Chairman of selectors MSK Prasad on Monday dispelled any doubts about Mahendra Singh Dhoni's future in international cricket, terming him the world's best wicketkeeper right now. The 35-year-old Dhoni's heir apparent in limited overs, a 19-year-old Rishabh Pant, has made a strong case for himself but he is being groomed as one for the future when the Jharkhand dasher decides to call time on his career. When asked if Dhoni's erratic batting form is a concern, Prasad's emphatic response made it clear that selectors still have faith in him. "How many of us still believe that MSD is still the best wicketkeeper in the world? We all believe he is still the best wicketkeeper in the world. We are only talking and focussing on his batting form," Prasad said. "He is an invaluable asset to the team and his inputs in crunch situations, he has got one of the best brains. He is the best person to guide Virat," Prasad said about the two- time World Champion skipper. 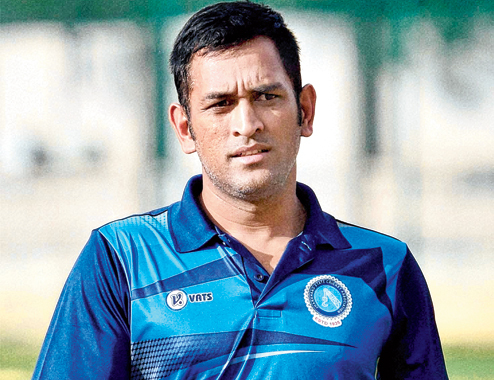 Prasad said Dhoni's safe keeping has gone unnoticed all these years and people only tend to focus on his batting. "Not many people realise, that in last 10-12 years, Dhoni has never had a bad day with the gloves. We always treat him as a batsman but phenomenal stuff he does behind the wickets, not many people appreciate that. According to me, he is still the best wicketkeeper in world cricket." But he had words of encouragement for Pant and made it clear that he is a "long term solution". "We are completely impressed by how Rishabh Pant is playing. It's just combination because of which he missed out. He is one cricketer we are looking at for our future. He is definitely a solution for our future. "There is no need to worry as he has a long career ahead of him. We will groom him and back him. We will ensure that he is successful in future," the chairman explained. Asked why youngsters are not picked, pat came the reply: "Isn't Bumrah a youngster? Isn't Hardik Pandya a youngster? They came to the Indian team during 2016 Australia series prior to Asia Cup. When the same scribe asked whether veteran off-spinner Harbhajan Singh was considered, convener Amitabh Chaudhary sarcastically retorted: "On one side, you asked about youngsters and now you are asking about Harbhajan Singh." Quizzed about Sanju Samson and Basil Thampi, Prasad said that these guys need A team exposure. "We have seen their performances in the IPL. They need good A tour before the next level." The selection panel chief also made it clear that IPL hype and public opinion are never enough to sway selectors picking a one-day side. "In 50 overs tournament, we have to check all-round capabilities. We are happy that the likes of Rahul Tripathi or Thampi are shaping up.